Typographic Landscape Ecologies is an ongoing project that documents, maps, and visualizes typographic artifacts in the urban landscape as a way to explore cultural forces in the constructed world. This project began with the educational group DesignIquiry as an exploration into the UNESCO Design City Berlin in August 2013 and then Detroit as part of a residency at the Museum of Contemporary Art Detroit (MOCAD) in October through December 2014. 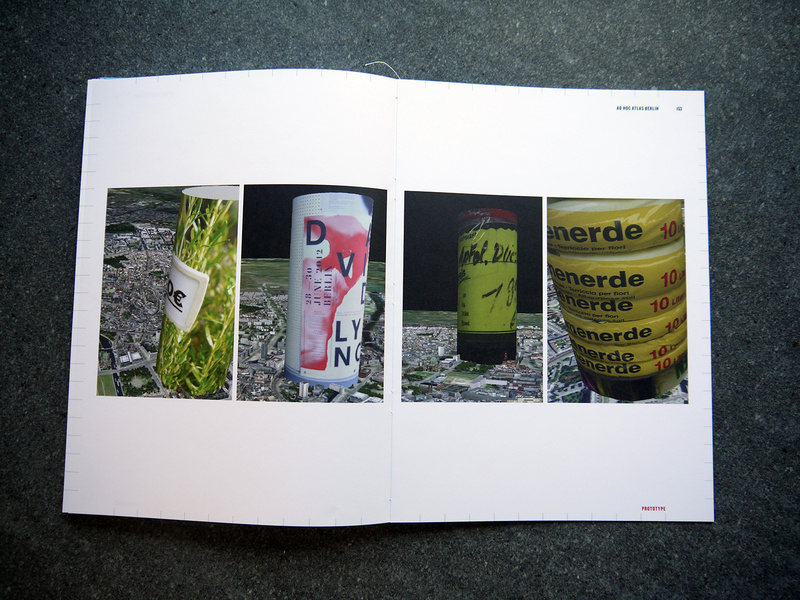 This project discovered nascent connections between the ontology of the graphic artefacts in the landscape and the socio-cultural forces of gentrification. A workshop of its methodologies was then conducted at the International Cartographic Association commissions on Art & Cartography and on Maps and Society, Rio de Janeiro, Brazil in August 2015. In this workshop, the documentation and mapping of specific ecologies of graphic artefacts in the landscape indicated different cultural regions and their boundaries and a hypothesis of the flows between them. These projects presuppose a model of a semiotic landscape; a complex multi‐dimensional text or collection of texts. It is a model of landscape as an ecology of discernable semiotic units that define a concept of a geographic space. It is a landscape as a collection of symbolically mediated phenomena understood only through cognition and representation. It is a system of signs “… diverse landscape phenomena [that] are thought to form a coherent systemic whole in which each of the elements is related to each other and where individual signs can be combined into sequences according to certain codes.” (Kull, K., Lindström, K., & Palang, H., 2014, p114) The typographic elements of the urban landscape form, through their invisible connections to the greater world of meaning, a network—an ecology–that constructs geographic space as real as its material forms. The typographic elements combine to form a complex and indeterminate whole—a gestalt—that defines the cultural landscape of geographic space to its occupants. This is similar to a piece of music; a systemic whole comprised of individual elements of interrelated sounds, tones, rhythms, and silences, which are also symbolically mediated through human cognition and representation. These projects use conventional research as a means to authoritatively document the landscape in an attempt to reveal patterns and relationships. These projects use experimental methods as a foil to the authority of conventional research as a way to generate speculative conclusions. Speculative conclusions are an important form of the creative process. Imprecise and questionable associations generate new semantic connections and new forms of thinking and knowledge. (Lotman, 2000) The illumination of new knowledge is the ultimate goal of research and so we can assume that subjective and illegitimate conclusions have value by revealing something not yet known. The work of the radical architecture groups Superstudio and Archigram, the design fictions of Anthony Dunne and Fiona Raby, and the iconoclastic maps of Denis Woods offer examples of the ability of working data into new syntaxes, into alternative and speculative narratives that can offer glimpses of other potentialities. In my own work this is demonstrated by the visual cross-referencing of aesthetic ecologies and cultural vectors, their overlay onto three-dimensional virtual environments comprised of layers of historical maps that encourage us to read between the lines or layers of a cultural-semiotic space. This does not offer concrete answers, but rather poses new and unexpected questions. For Project Anywhere, Typographic Landscape Ecologies will continue the research trajectory explored in Rio de Janeiro in Alameda California for a period of 4 months and then continue to publish its findings as analyses and hypotheses ongoing into the future. For this project, a specific four-block area–a cultural geographic node–will be examined. 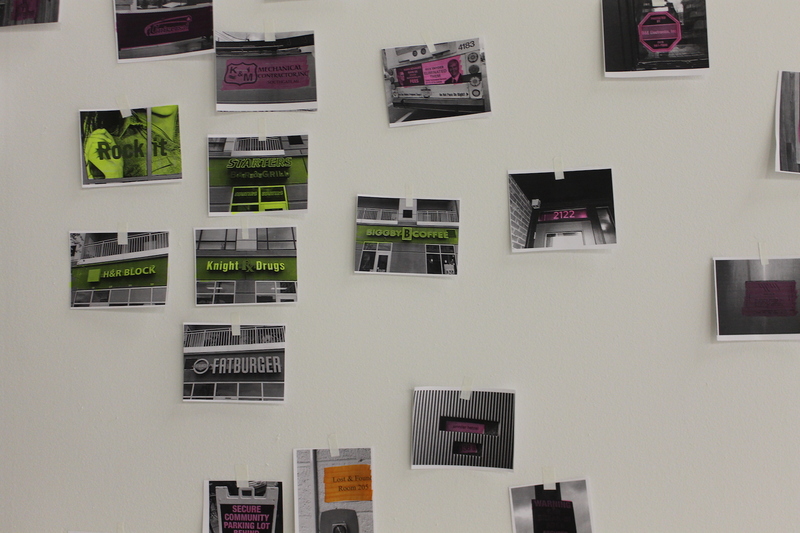 Every typographic artifact within this node will be photographed and geolocated on a map. The data will be categorized, coded, and organized into matrices that express progressions of quality and manufacture/creation, groupings of stylistic forms, and connections of cultural codes and meanings. This will be available via an online map and will: be contextualized within historical geography and phenomena by layering historical maps in GIS (geographic information systems); examine meaning at the macro and micro level of the urban landscape; examine visual-cultural cues of the typographic forms; create hypotheses of urban language and the city as a semiotic ecology. The hypotheses presuppose that there are threads that connect, semiotically, the past to the present and that these connections can be indicated by typographic artefacts in the urban landscape. The project will try and find these connections through the examination of vectors, patterns, forces, and agents within the landscape such as transportation, zoning, services, property value, and racial and economic demographics. Exactly what interrelations are revealed remains to be seen. 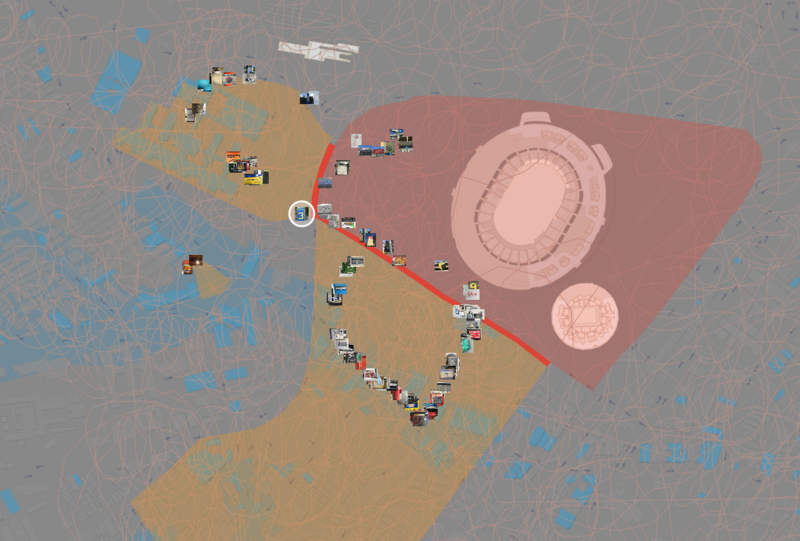 Joshua Singer “Center & Periphery & Flows in Maracanã (detail), 2015. 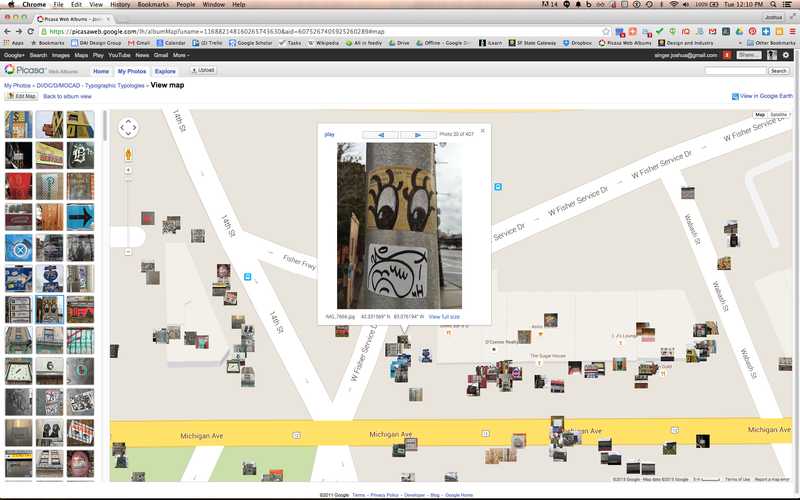 Still image of georeferenced photos and study vectors in Google Maps. 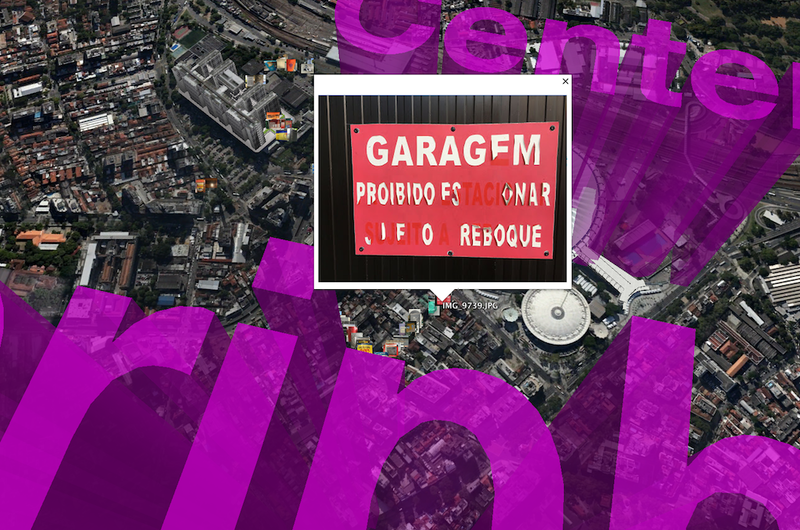 Study map of the Maracanã neighborhood of Rio de Janeiro, Brasil containing geolocated typographic artifacts and regions of semiotic activity. 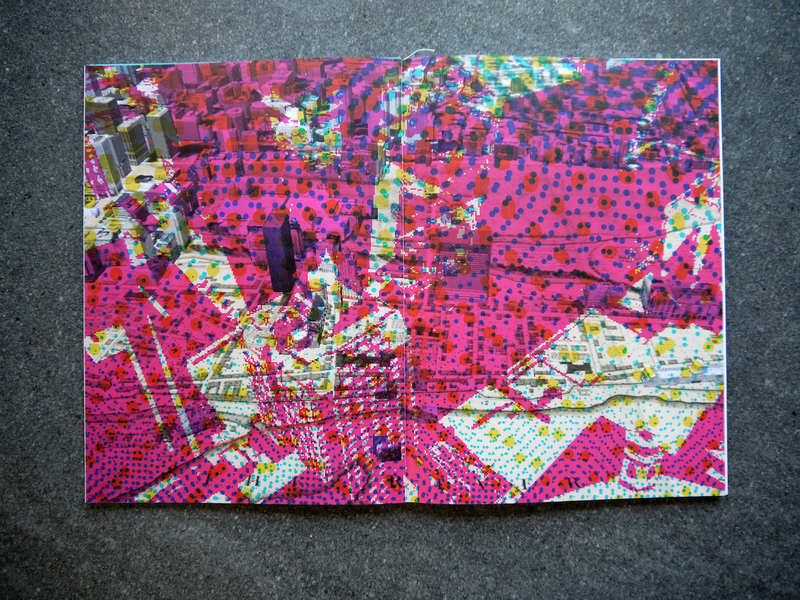 Joshua Singer, Ad-Hoc Atlas Version 2, Vol 1 Including Montréal and Berlin (Detail), 2013. 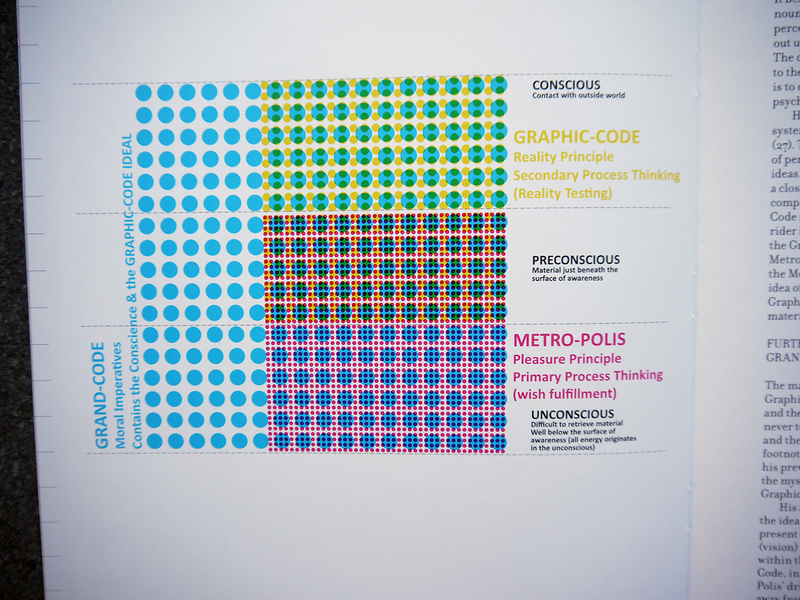 Diagram for the Graphic Code and the Metro-Polis demonstrating the semiotic unconscious of the urban landscape. Joshua Singer, Ad-Hoc Atlas Version 2, Vol 1 Including Montréal and Berlin (Detail), 2013. A speculative map of the semiotic unconscious of Montréal. Joshua Singer, Ad-Hoc Atlas Version 2, Vol 1 Including Montréal and Berlin (Detail), 2013. Prototype #01.0 Semiospheric Metabolic Reader Output (samples); a speculative monument that reads the vernacular typographic artifacts of the city. Joshua Singer, Typographic Typologies Detroit (Detail), at MOCAD (Museum of Contemporary Art Detroit), 2014. Georeferenced photos of typographic artifacts in the Corktown neighborhood of Detroit. Joshua Singer, Typographic Typologies Detroit (Detail), at MOCAD (Museum of Contemporary Art Detroit), 2014. Open wall installation of analysis exercise of typographic artifacts in. Corner, James. “Terra Fluxus.” In The Landscape Urbanism Reader, edited by Charles Waldheim, 21–33. New York: Princeton Architectural Press, 2006. Dunne, A., and F. Raby. Speculative Everything: Design, Fiction, and Social Dreaming. MIT Press, 2013. Flusser, Vilém. “The Designer’s Glance.” Design Issues 11, no. 3 (1995): 53–55. Franzato, Carlo. “Design as Speculation.” Design Philosophy Papers, renew, repair, research, 2011, no. 1 (January 2011). Kull, Kalevi. “Semiotic Ecology: Different Natures in the Semiosphere.” Sign Systems Studies 26 (1998): 344–71. Kull, Kalevi, Kati Lindström, and Hannes Palang. “Landscape Semiotics: Contribution to Culture Theory.” In Estonian Approaches to Culture Theory, edited by Kalevi Kull and Valter Lang, 110–32. Tartu: University of Tartu Press, 2014. https://www.academia.edu/11557974/Landscape_semiotics. Lotman, Y.M. Universe of the Mind: A Semiotic Theory of Culture. Translated by A. Shukman. The Second World Series. Indiana University Press, 2000. Nöth, Winfried. “Yuri Lotman on Metaphors and Culture as Self-Referential Semiospheres.” Semiotica 2006, no. 161 (January 1, 2006). doi:10.1515/SEM.2006.065. van der Velden, Daniel. “Research & Destroy.” Metropolis M, April 2006. http://metropolism.com/magazine/2006-no2/research-destroy/english.